The answer, I discovered, shocked me as it much as it may shock you: I realised it is because I am, first and foremost, an entrepreneur. This fundamentally altered the way that I saw myself and my role in nation building. It was a shift in paradigm that practically changed the course of my life. In 2010, I had the first opportunity to test out this new understanding. 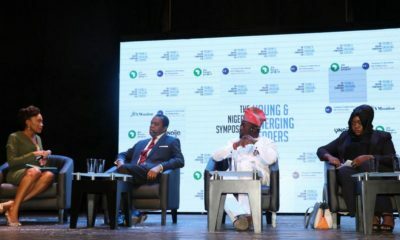 Soon after, Ngozi Okonjo-Iweala, as keynote speaker at TFAA that year, had revealed that the youth were the majority of the nation’s population and challenged them to get actively involved. Our president, Umaru Musa Yar’Adua also went missing. Many people know the history now: I sent an email to friends; we hosted the EnoughisEnough (EiE) rallies in Abuja and Lagos, trended globally on Twitter, were on front-pages of national dailies and across international media. More importantly, before our ultimatum expired, our demand was met, and Goodluck Jonathan was declared acting president of Nigeria. The co-founders of EiE came together – the emergency executive committee we had gathered – after the Lagos protests, and discussed how would EiE transmute. It had been established primarily as a conduit for protests, but now that it had become successful, it couldn’t possibly disband. Young people were looking to it for leadership, and it couldn’t disappoint. Now, up until this moment I had thought of EiE it as a media brand, since that is the core of our experience at RED. With our scant resources, we had approached it as a pop-culture brand – co-creating a mainstream product that captured the popular imagination. But it had evolved into something else from there. It had gained a life of its own. But I had paid close attention to her in the days since we had met – from the afternoon we had ridden in the same car after the Lagos protests. There was something about her. From pure instinct, it had become abundantly clear that if this mission was to survive, she was just the exact person it needed to make it happen. Pretended to mull, I had said earlier, because I already anticipated that as convener, that request would be made. I had already thought seriously about it. I had agonized over the decision, because in EiE I saw the beginnings of something truly powerful and deeply useful for Nigeria (evident through this February’s #IStandWithNigeria protests). I really wanted to lead it. I almost said yes. Painfully though, I realised it had to be ‘no’. I couldn’t do it; because my calling was different. My calling in this phase of my life, as far as the world’s present labels go, is business. We had no models to look to; but that is in fact the idea and beauty of business: to create where a thing previously didn’t existing. We realized we had ample space to build out that value proposition… a, as it were, blue ocean. Of course, the one reason I could say ‘no’ to the glistening opportunity to lead this historic organisation (also the one reason I have been able to say no to two offers to join separate administrations) in the first is because I had a clear personal mission for the first phase of my life. That mission is our business; with a potential so vast, and opportunity so endless that it would be frankly stupid to ignore the benefits of what venture capitalist Peter Thiel calls ‘delayed value’ for temporal gratification. But we see through your attempts at white washing your image and presenting yourself as a “hero of democracy/good governance”. I agree. Brilliant article but riddled with annoying elements of self praise. Chude we get it. You’re the best thing that’s happened to this country since Lord Lugard amalgamated us. You really are. In fact you and Mr. Lugard are uncannily alike in your approach and intentions. Best thing my boot laces. Will you keep Kwayet? Cashtivist oshi….. I hope Uncle Rotimi will celebrate your birthday for you this year…. 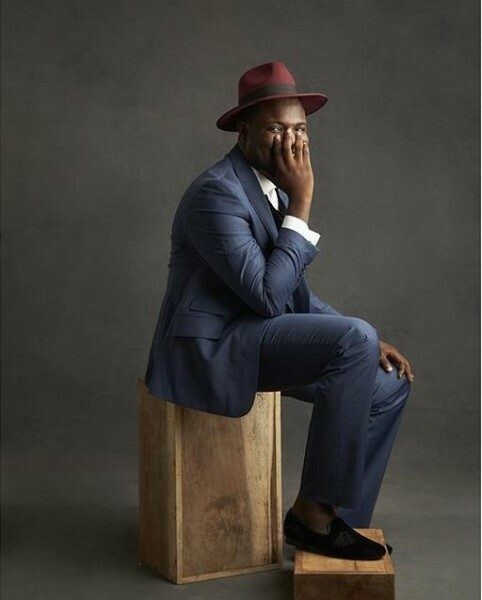 greet Mr DB Lagos for me…. Your long epistle will not change people’s opinion, God sabi your house address.. you and the activists of yesterday who are now oppressors and and Cashtivists of today. Have always enjoyed reading your articles man, but i also feel some pity for you. But maybe i shouldn’t, i should just trust that your abilities, inclinations and fate will serve you well, different from what i presciently see for you…the same heartbreak that got Chinua Achebe to the point of writing ‘There Was a Country.’ A book that showcases the shards of broken hopes and dreams of a nation not built. Chude always ready to sell Nigeria’s youths to the highest bidder. 2019 is coming, we see you trying to position yourself. You are Debola are frauds. Thieves, Rogues. Will Chude speak in tongues again in 2019? Does he share money made with thske staff whose talents he uses mercilessly? Jesus his coming and I know your karma awaits you. if u like use my comment to block your monthly flow as a tampon! Nope. I remember a bunch of us got together to work on a project probono, including this nna here. When it was time for him to complete his part of the project, Chude gave us invoice. As in…we were stunned. I get it. I understand the hustle to survive and thrive is real. The reality though is once you start getting paid to “put your country first” the lines become blurred between activist and opportunist. Dont mind ma sha..carry on with your hustle- after all no be u spoil naija. God bless your hustle brother . . .some of us are just as ready to sell the country, na opportunity never show. Chude I am thoroughly disappointed in you. You have cleverly tried to whitewash your image but it wouldn’t succeed because there is no sincerity in what you do. You see you cannot claim a moral high ground while collecting money from the people you are supposed to check. It doesn’t work. That is why these people belong to NGOs. In the end, you are no different from Dele Momodu who rails against government on one hand but is quick to celebrate the same criminals in his Ovation magazine. YOU ARE NO HERO OF DEMOCRACY!!! You are simply an opportunist who is interested in making money and uses the veneer of Human Rights and Democracy champion as a cover. You used us once but we will NEVER allow you or Debola to do that again. You are a fraud. Stop the useless presence and hypocrisy! Go and tell Amaechi to come and celebrate your birthday with you this year and leave us alone. #WEWILLNEVERFORGET!! WE WILL NEVER FORGET OH! Shame on you Chude, Debola and other users. Keep it moving along the coast of West Africa as we see you moved to Ghana’s elections…just keep it moving. Because we the alert Nigerian youths now see you in black and white. We see you clearly and what we see is ugly as filth! I get chudes point and I agree. If you’re a politician, your survival depends on the magnanimous nature of your benefactors but when you’re a business man, come which wind may blow, you ll be standing. I’m surprised at the ignorant response of bellanaija folks here. No be their fault, they’re so blindes by politics they can’t see any differently. Carry on Chude. You do well. You and the likes of you are the ones blinded. Blinded by the love of money over country. This in itself is not such a bad thing when you’re a core business man in the business of regular buying and selling…but when you sell a dream, a hope of better things to come, and you garner genuine support and goodwill from your peers on the basis of what you’re selling, then you owe a lot more than just smiling to the bank with your greedy self. But you won’t understand that. The digits on your cheque are all that matter.